Of all of the many awe-inspiring petroglyph panels located near McKee Springs in Dinosaur National Monument, I would have to say that this one is probably my favorite. 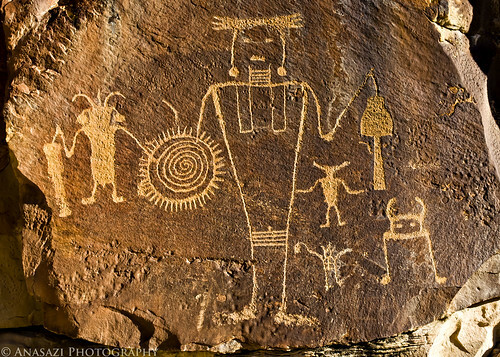 Heck, it’s one of my favorite petroglyph panels in all of Utah! I’ve put it on my calendar to get back to Dinosaur this fall to get some new photos of this site, plus to visit a few new sites as well. I’m looking forward to it!